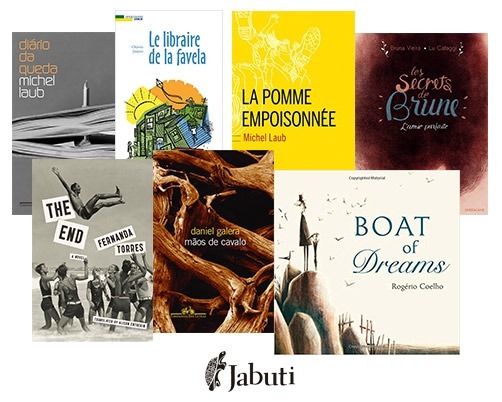 The winners of the 60th Jabuti Award will be announced this Thursday (8th) during a ceremony organized by the Brazilian Book Chamber at 7:00 p.m., at the Ibirapuera Auditorium in São Paulo. In total, the award had 1963 works enrolled into 18 categories. Among them, “Brazilian Book Published Abroad” that has four Brazilian publishing houses as finalists: Grupo Autêntica, Editora Positivo, Companhia das Letras and Panda Books. The classified companies are part of the Brazilian Publishers, an industry project to promote exports of Brazilian editorial content through a partnership between the Brazilian Book Chamber (CBL) and the Brazilian Trade and Investment Promotion Agency (Apex-Brasil). Companhia das Letras is one of the largest companies in the Brazilian publishing market and has an active catalogue of approximately five thousand titles. The publishing house was selected for the international category by publishing four national works abroad: “A Maça Envenenada” (The Poisoned Apple), published by Editions Buchet/Chastel; “Diário da Queda” (Diary of the Fall), released by Kafka Kitap; “Fim” (The End), which was released overseas by Restless Books, and “Mãos de Cavalo” (The Shape of Bones), by Penguin Books USA. “The success of the Company in this category of the award, as in others, is a reflection of the quality of our catalogue. In addition to this, the nomination is the result of many years of work in the sale of rights for international publishing houses, and a special dedication to the international agency of the authors and to the foreign editions”, explained Fernando Rinaldi, Rights Analyst of Companhia das Letras. With the international publication of “O Barco dos Sonhos” (The Boat of Dreams) by Tilbury House Editores, Editora Positivo has reached the final phase of the award. Signed by Rogério Coelho, the work won the Jabuti Award in the category “Children’s or Juvenile Book Illustration” in 2016 and presents a charming narrative where reality and dreams blend. “We are a publishing house that bets not only on the publication of works but also on the literary formation that can and should begin very early. Seeing this title crossing borders means that we are on the right path”, said Joseph Razouk, Editorial Director at Positivo. The Brazilian publishing house Panda Books was selected for the international publication of “O Livreiro do Alemão” (The Bookseller of the German), by Anacaona Éditions. The work was produced by the author Otávio Júnior and reveals how a book that the writer found in the trash at the age of eight changed his life. Resident of Complexo do Alemão, one of the most violent places in Rio de Janeiro, Otávio created the project “Ler é 10 – Leia Favela” (Reading is Great – Read Slum) to present the pleasure of reading for children and teenagers. “Being among the Jabuti finalists is already an award for recognizing the importance of the work. Especially for being a book that took to the French public the story of a Brazilian who, despite the adversities, was able to implement a reading project for a part of the population that suffers all kinds of social exclusion”, said Tatiana Fulas, Editorial Director at Panda Books. The Grupo Autêntica closes the list of finalists of the category with the work “Quando Tudo Começou: Bruna Vieira em Quadrinhos” (When It All Started: Bruna Vieira in Comics), which was illustrated by Lu Cafaggi and was originally published with the label of the Nemo publishing house. The work tells the story of Bruna Vieira, a Brazilian influencer who has 1.9 million followers in instagram and more than 1.3 million followers in youtube. Bruna created a blog called Depois dos Quinze (After Fifteen) that stood out in the internet and brings contents about fashion, books, series, and behavior, among others. “Being among the finalists causes a sense of duty accomplished in all of us. After all, having authors published in other countries is a very big achievement”, said Arnaud Vin, Chief Editor at Nemo.